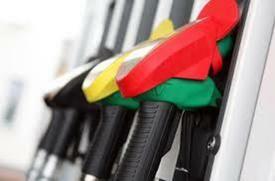 29 Commercial Real Estate and Properties in Melbourne Northern Suburbs are listed in 6 categories. We have 18 Industrial Warehouses for Sale , 7 Development Lands for Sale , 5 Retail Shops for Sale , 3 Offices for Sale , 1 Other Commercial Properties for Sale and 1 Showrooms for Sale . 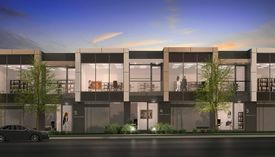 Willandra Business Park provides the opportunity to consider one of Melbourne's most significantly located Business Parks, in the heart of Melbourne's Northern booming commercial precinct just off Cooper Street. The location gives buyers/investors access to major infrastructure including Freeway and Ring Road, Melbourne Wholesale Markets, growing retail precinct including Pacific Epping, Costco, Bunnings etc. With construction well underway and expected completion by 3rd quarter of 2019, the development offers high quality architecturally designed office/warehouses suitable for a range of different owner occupiers and savvy property investors. Buy off the plan and secure your preferred warehouse with sizes ranging from 180m2 307m2. This exclusive first stage release offers: Warehouse 1 and 16 with fully fitted out first floor office space. Professional corporate style finishes and presentation. Secure gated entrances. Clear span lofty warehouses. Container height roller door. 3 phase power. Kitchenette and amenities. Allocated on site car parks. Zoning CDZ2. Prices from $450,000.00 plus GST. Willandra Business Park offers an excellent opportunity to join new occupiers in this vibrant commercial precinct allowing yourself and others to enjoy surrounding occupiers such as: Manta Hotel (under construction) Private Medical Centre 5 Star Retirement Village Be part of this choice boutique development and reap the benefits of this premium location. Rare Corner Allotment 1,132 Sqm! Auction: Thursday 22nd No.. Here's your opportunity to secure this prime flat block of land in this sought after location! Whether you build to develop that warehouse(s) you've been planning or simply use as a yard, the choice is yours! (STCA). Features: bull; Land size 1,132 sqm (approx.) bull; Industrial One Zone bull; Power, Water WC on site bull; Shed plus 2 x 20ft Containers bull; Ideal for owner occupier or investor bull; Easy Access to all major arterial Call today and make it yours! Warehouses of 134m2 Container Height electric roller door High Clearance clearspan warehouse On site car parking available Minutes from the Hume Highway with easy connection to all the major arterials Contact Helen Lipman on 0477 006 134 for an inspection today! Warehouses of 145m2 Container Height electric roller door High Clearance clearspan warehouse On site car parking available Minutes from the Hume Highway with easy connection to all the major arterials Contact Helen Lipman on 0477 006 134 for an inspection today! This rare investment opportunity provides strong rental yield and is located in a prime location, with current owner offering lease back. Located minutes from the Epping Fruit Vegetable market, Western Ring Road, Hume Highway, Craigieburn bypass, close to Miller Street and Epping Plaza. Returning $95,000 PA + GST + Outgoings Total Building Area 1,750SQM Total Land Area 2337SQM. Includes 1,267SQM Manufacturing and 480SQM Office. Three phase power. 2 Container height RSD Industrial 1 zone SECURE THIS PRIME INVESTMENT OPPORTUNITY AND INQUIRE TODAY!!! Superb Opportunity to acquire this securely leased prime shop freehold in this bustling location situated just off Plenty Road and adjacent to the Mill Park Library, Motel, and Restaurants. Offering: Ground floor office space of 152 m2 6 car spaces at the rear of a gated side driveway. Zoned Commercial 2 Zone (C2Z) Rental Return, $31,200 PA + Outgoings. Call Con today on 0415 115 557, to secure this superb investment opportunity! Finding it hard to find large quality warehouse with no body corporate and plenty of parking? Then look no further! Located within a prominent Industrial Estate in the heart of Epping and close proximity to Ring Road, Freeway, Northern Hospital, PACIFIC epping Shopping Centre, Melbourne's Wholesale Fruit Vegetable Market plus many leading Australian Multinational companies. Total building area is 640sqm, including 590sqm of warehouse and 50sqm of office. High Clearance Land Area 1050sqm On site parking for 16 cars Inquire Today! 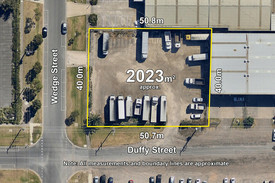 A once in a lifetime opportunity to acquire this substantial parcel of land in Epping Central Key Features: bull; Rectangular 2023m2 bull; Zoning ACZ1 bull; Brilliantly located near Fwy/Ring road, Melbourne Wholesale Markets, Pacific Epping Etc. bull; Suit a variety of uses including residential, childcare, medical, commercial etc. STCA bull; Landbank and Lease whilst you submit plans. bull; Includes 350m2 approx. site building Take advantage of this rare offering and secure this prime development opportunity in Booming Epping. PREVIOUSLY USED FOR SMALL GOODS AND CHOCOLATE MANUFACTURING. THREE INDIVIDUAL TITLES IN ONE Office of 260m2 Warehouse of 1760m2 Total Area 2020m2 Modern staff amenities Container height electric roller door High clearance clearspan warehouse Cool Stores and freezer 19 car spaces Security Fencing Contact Helen Lipman on 0477 006 134 to arrange an inspection today! This AQUIS approved quality food processing factory in a prime location. 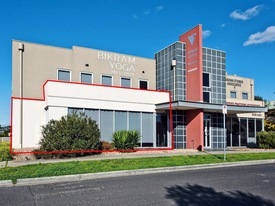 Located minutes from the Epping Fruit Vegetable market, Western Ring Road, Hume Highway Craigieburn bypass. . Total Building Area 725SQM. Total Land Area 1130 SQM. Includes 530 SQM Manufacturing and 195 SQM Office. 6m approx cool room panel, lined walls plus 3 x cool rooms/freezers. Painted, covered and sealed floor... Mains Gas. Three phase power. Grease Trap. Fully fitted office areas, including heating cooling. Secure alarm system. Fully fitted office areas including heating cooling Container height RSD 3Phase power Floor plan attached under 'Additional Information' Industrial 1 zone SECURE THIS PRIME OPPORTUNITY AND INQUIRE TODAY!!! Brilliant opportunity to owner occupy or invest in this affordable and most exceptional warehouse that will suit a variety of uses located in the thriving Willandra Estate just off Cooper Street. Comprises Total of 143m2 (101m2 Warehouse and 42m2 mezzanine) Container height door 1 Parking bays Secure main gate Suit tradesperson, storage, etc This will not last, Inquire Today!! Only 1 Left!!!!!!!!!! Exclusive Boutique Development - Prime Rear Warehouse Showroom!!! $360,000 Plus GST. Owner Occupiers and Investors, we are proud to announce this exciting development in Melbourne's premier northern commercial industrial precinct, Epping. This exceptional rear facing offers direct line of sight signage opportunities in a prime location with facilities, and features second to none. With construction due to commence shortly, take advantage of securing this prime investment opportunity. Compare the following list of outstanding features and inclusions: Outstanding Quality and Features you wont find anywhere else Warehouse Area 104.43m2 Mezzanine Area 43.60m2 Total 148.03m2 1 Car Spaces Container Height Door Remote Controlled Security Gates. Alarm System Air conditioning to designated office areas 3 Phase power Painted Internal concrete wall finish Removable Bollards in front of each roller for added security Pillar Signage positioned at front of development Numbered car bay Fully landscaped gardens ETC ETC ETC! The suburb of Epping has become one of Melbourne's fastest growing suburbs, branded a gold mine' investment by Herald Sun' and City of Whittlesea'. The area has propelled in interest due to its competitive property prices, exceptional location and developing infrastructure. With direct freeway connections onto the M31 and M80, Epping is only 20km from Melbourne CBD and 22km from Melbourne Airport. Enquire now for plans and details before its gone! Extremely rare opportunity to acquire this 3441m2 corner site in the heart of Eppings booming Activity Centre Zoning and close to the Booming Cooper Street Business Precinct, Major Retail Shopping Centres, Rail and Freeway transportation access etc. Suit a variety of uses including: bull; Residential Density bull; Offices bull; Childcare Centre bull; Nursing Home bull; Activity centre zoning bull; Place of Worship etc bull; All subject to council approval. Inquire now on this once in a life time opportunity and own one of the finest development sites available in the North. Plans Permit For Sale by Tender: Monda..
An Increasingly Rare Opportunity To Acquire this Magnificent Corner Site in The ACTIVITY CENTRE In Eppings BOOMING Commercial Precinct. Build with with existing permit or change to suit your requirements such as place of worship, medical, childcare etc STCA. Current Approved Plans consist of Architecturally designed two level office complex bull; 34 secured car parking, automotive gates bull; A total of 1293m2 of floor/leasable space bull; Flexible office size options to suit. bull; Formal entry foyer with lift facility bull; Monitored security system/CCTV bull; Ideal corporate head quarters Take advantage of this development opportunity and be part of Epping's growing success. Inquire Today!!! This exceptionally built warehouse will suit a variety of uses and is located in the thriving Willandra precinct just off Cooper Street. Comprises Total of 142m2 (95m2 Warehouse and 47m2 mezzanine Container height door 1 Parking bay Secure main gate Suit variety of uses Inquire Today! This pot of gold is situated only 22Km from Melbourne CBD, 5km to watergarden shopping centre and within minutes drive to Keilor village and Overnewton Anglican college. This allotment has a wide boundary to the Maribyrnong River with water entitlement. Green wedge zone Land 20hectares (49.5 acres approx) 341m frontage There is a substantial home which consists of 5 bedrooms, ensuite to main, spacious lounge, family room, kitchen, double garage and a huge storage room. Sit down, relax and watch your investment grow.